The muscles, bones, and nerves all work together and in order to get the fastest and most effective relief we need we need to correct the problem through proper spinal alignment and restore essential balance to the muscular system through focused massage therapy. Dr. Sage says, “Since my chiropractic services have been needed to serve my community, I’ve personally selected a team of the very best massage therapists to provide you relaxing, health enhancing, therapeutic massage to benefit your chiropractic adjustments.” We have several different massage therapists, so we are confident that you will find the right fit for your needs. Chirosage is a unique approach to health care blends the best of chiropractic, therapeutic massage, Asian healing techniques such as cupping, Tui Na, and into one effective treatment. This therapy is a hands-on, one-on-one remedy for pain that gives her patients great results and a speedy recovery. Chirosage is a conservative solution to help treat annoying aches and pains such as headaches and back pain that have been preventing you from feeling your best. Your chiropractor will be the one to release muscular stress that is specific to your problem. 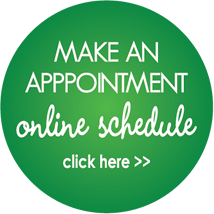 Experience a caring and effective one on one treatment. You will be given specific ways to heal your problem using focused exercise techniques. Dr. Sage developed chirosage to help individuals needing a higher level of healing touch. As a chiropractor, she delivers specific and gentle adjustments to the spine as needed, and spends the additional time in the treatment correcting muscle imbalance with deep therapeutic massage. To help best stabilize the spine, she also builds individually tailored home exercise programs to help her patients maintain the proper alignment received from their treatment. To get started Dr. Sage will perform an initial health evaluation in which a detailed history of your health is reviewed followed by a physical examination. Doctor Sage may order additional diagnostic studies for your specific case as necessary. Typically after the first appointment, chirosage can be started to remedy your pain. Most patients participate in a series of 12 one-hour visits on a weekly basis when first beginning care. Prana is the vital energy that sustains the manifestation of the universe pulsating within every cell. It enlivens and coordinates all bodily functions and is intimately intertwined with the mind. Through the breath we are able to establish a steady pranic flow in the body allowing our body-tissue to relax more easily. This is especially important during Deep Tissue work. Swedish Massage uses variety of techniques specifically designed to relax muscles by applying pressure to them against deeper muscles and bones. By rubbing in the same direction as the flow of blood returning to the heart; Swedish Massage is designed to increase the flow of oxygen in the blood. This also assists with the release of toxins from the muscles and flushing the tissues of lactic acid, uric acid, and other metabolic wastes. Firm soothing strokes help to keep ligaments and tendons supple and pliable. This style of massage both stimulates the skin and nervous system while at the same time soothes the nerves themselves. Swedish Massage is excellent for stress reduction, both emotional and physical. Acupressure is an ancient healing art that uses the fingers to press key points on the surface of the skin to stimulate the body’s natural self-curative abilities. When these points are pressed, they release muscular tension and promote the circulation of blood and the body’s life force to aid healing. Acupuncture and acupressure use the same points, but acupuncture employs needles, while acupressure uses the gentle but firm pressure of hands. Flower essences are herbal infusions or decoctions, made from the flowering part of the plant, which uniquely address emotional and mental aspects of wellness. The first 38 flower remedies were formulated by a British physician, Dr. Edward Bach, in the 1930’s. Recently new remedies from other plant species have become available. How do flower essences work? To understand how flower essences work requires a recognition that the human being is more than a physical body, but also incorporates a “body” of life energy, a “body” of sensitivity and feelings, and a spiritual essence or Self. Flower essences are energetic imprints of the life force of plants which interact with these subtle bodies of the human being, and evoke specific qualities within us. CranioSacral Therapy is a gentle, hands-on method of evaluating and enhancing the functioning of a physiological body system called the craniosacral system – comprised of the membranes and cerebrospinal fluid that surround and protect the brain and spinal cord. Using a soft touch generally no greater than 5 grams, or about the weight of a nickel, practitioners release restrictions in the craniosacral system to improve the functioning of the central nervous system. For more information visit: www.upledger.com. Reiki is a natural, simple, safe, effective healing system that uses spiritually guided universal energy, the energy which permeates our entire universe and all living things. This energy is channeled through the hands of the practitioner into the body and aura of the receiver. 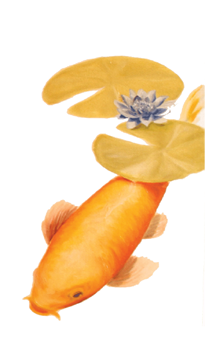 It is an ancient healing system that has been used for thousands of years and was rediscovered by Dr Mikao Usui. Reiki is a Japanese term meaning universal energy, or spiritually guided universal energy, because it is the divine consciousness, the All-knowing that guides this life force. If you are suffering from an illness (physically, mentally, emotionally, or spiritually), your energy level is lessened. Reiki works to assist you in bringing your energy level back up to its natural flow, thereby enhancing your own natural healing powers. Reiki practitioners do not suffer from energy depletion, as they are trained to channel energy from the outside environment, not from their personal supply. Rei: universal, cosmic, divine or what is.